The bad news: At some point, your cell phone is likely to go missing. Whether it falls out of your pocket in a cab, or you leave it unattended in a public place for a few seconds only to have it swiped by someone with sticky fingers and low moral fiber, your phone is vulnerable. In fact, according to a report from security software company Symantec, 36 percent of U.S. consumers have had a cell phone disappear on them. If that phone is a smartphone--or if the missing item is another valuable mobile device such as a laptop or a tablet--thieves will be even more motivated to do their dirty work. And misplacing your gear or having it stolen is more than just a hassle: Given the amount of information that people store on their devices, losing a gadget may very well mean not only losing your files, contacts, and photos, but also seeing your identity stolen. What can you do? Start by following these simple steps before your favorite tech goodies go MIA. Although we can’t guarantee that you’ll get your missing phone, laptop, or tablet back, we can at least help you ensure that no unauthorized person starts peeking at your most personal details, and we can help you increase the odds that your gadget will return to you. Use a password: The first step in securing your laptop, phone, or other mobile device is to put a password on it. Needing to enter a password whenever you use your phone may seem inconvenient, but you’ll appreciate having taken the precaution should the device fall into the wrong hands. 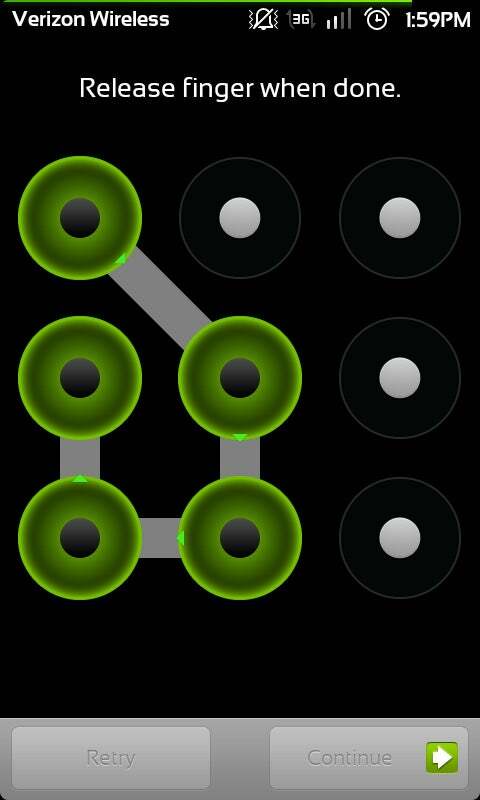 Setting a PIN or an unlock pattern (shown) won’t stop a determined thief, but it's an easy way to add an extra layer of security. On iOS, you can assign a four-digit PIN to keep your iPad or iPhone from being unlocked easily. If you own an Android phone, you can choose either a PIN or a pattern; with a pattern, you unlock your device by drawing a simple shape on the screen. For both Android and iOS, these security options reside under the ‘Settings’ menu. For most Android devices, the option to add a PIN or pattern appears under ‘Location and Security’. On iOS you’ll find the option to set a PIN under ‘General’, then ‘Passcode Lock’. Remember not to choose an excessively simple PIN like 0000 or 1234. You don’t want to make it unduly easy for anyone other than yourself to access your assorted devices. In addition, always lock your laptop’s screen when you step away for any period of time, to keep prying eyes from peeping at your work. In Windows, hold down the Windows key and press the L key; that will take you to the login screen. In Mac OS X, open Keychain Access in your Utilities folder (or do a Spotlight search for it), and within the Keychain Access menu, select Preferences. From there, check the box labeled Show keychain access in the menu bar. A lock icon will appear in the menu bar; that icon will allow you to lock your password keychains, as well as your screen. Use security software on your smartphone: Even though PINs, patterns, and passwords are a good first line of defense, you’ll need much more to keep your data safe. In fact, one of the first things you should do when you purchase a new phone is to install a mobile security suite. The Lookout Web portal lets you remotely track a lost Android phone. On Android, apps such as Lookout Mobile Security, Norton Mobile Security, Seekdroid, and Webroot Mobile Security let you remotely locate your absent device, lock it, or wipe all data from it. Some of these apps also in­­clude antimalware and phishing safeguards, so you’ll be protected even in your day-to-day activities. Seekdroid costs $1, while the rest of the listed mobile security suites are free (you will have to pay extra to unlock all of their features, however). Find My iPhone can track a missing Apple iOS device, and erase it if necessary. Apps for iOS are more limited. We recommend that you install the Find My iPhone app on all of your iPads, iPhones, and iPod Touches. After installing the app, you can use your Apple ID to sign in to Me.com, which will open to a map showing your iOS device’s approximate location, as well as options for displaying a message on the lost hardware, remotely locking it, or remotely wiping it. Find My iPhone does require a little setup, but operation is straightforward once you have it working. The only drawback to Find My iPhone is that it’s easy to disable, whereas several of the Android security suites we’ve mentioned will either request a password or hide the app. We’re hoping that you followed our earlier advice and set up a PIN on your device to prevent people from getting into it and then uninstalling the security app. 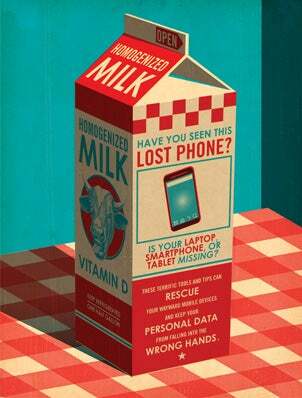 Track your laptop: You can hunt down a lost laptop in much the same way that you track a missing smartphone. Consider investing in LoJack for Laptops, a subscription service that makes it easier for both you and law enforcement to find your laptop. The service permits you to track the notebook’s location (some plans track only IP addresses, while others track by using GPS), lock it so that nobody can access the data, remotely wipe the hard drive, and perform other tasks. LoJack requires a piece of software that you install on your computer; versions are available for Windows and Mac. Plans start at $40 per year. Prey, for computers and Android phones, will track items, lock them, and more. If you prefer tracking your laptop yourself, try out Prey, which installs a small piece of software on your computer that lets you track the system’s location via an online control panel. You can also capture screenshots of your laptop if it goes missing (to gather information about a thief), take a photo using the built-in webcam, sound an alarm (useful if you misplace your laptop nearby), remotely lock the computer, and more. The Prey software runs on Windows, Mac OS X, Linux, and Android; installation is fairly straightforward. The free version of Prey allows you to monitor up to three devices (computers or Android-based phones), and the various “Pro” account options range in price from $5 for a personal account to $400 for a large business. At this writing, Apple was working on Find My Mac, which is similar to Find My iPhone but for Apple laptops. Find My Mac may be available by the time you read this. A word of caution: Privacy concerns about device-tracking products have begun to emerge. Shortly before we went to press, a judge ruled that a woman in Ohio could sue Absolute Software, makers of LoJack for Laptops, for allegedly infringing on her privacy after she had unknowingly purchased a stolen laptop. So if you decide to use a device-tracking product on your gear, be sure to use it responsibly. Lock your laptop: A physical lock isn’t foolproof, but it will help prevent someone from swiping your machine off your desk. Companies such as Kensington and Targus sell assorted products that attach to or link through the lock port on most laptops. One from Targus even has an alarm that sounds when someone picks up your laptop.